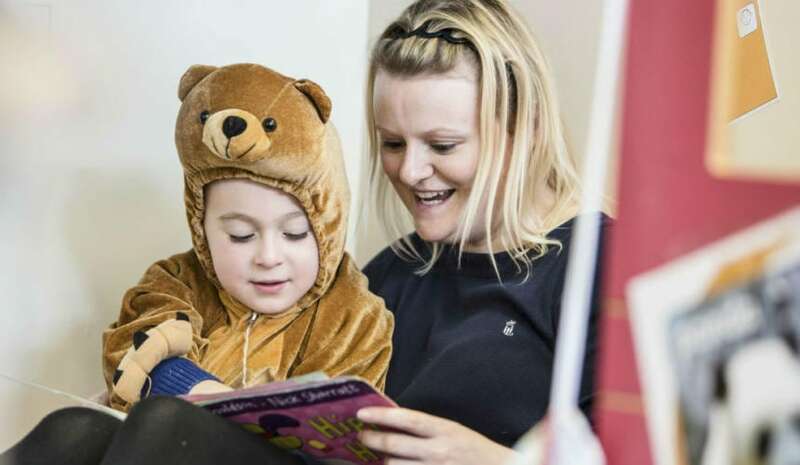 Starting Nursery for the first time is a big change for both you and your child, and it’s natural to feel anxious about how you are both going to cope with the transition. Here are some top tips I have to help you settle your little one into Nursery. A few days before your child is due to start Nursery, start chatting to them about how wonderful it will be for them to meet new friends and play with different toys. Young children easily pick up on their parents’ emotions, so if you are calm, enthusiastic and confident that all will be well, then your child should feel the same way too. If your child has a favourite comfort item from home, such as a blanket or small soft toy, consider allowing them to take it into Nursery with them. Our highly trained staff understand that children may need a comforter and they will be able to freely access it as needed during the settling in process. Explain to your child that if they are missing you they should cuddle the item close and remember you’ll be back to pick them up soon. Children follow your lead so if you get upset and cling to your child when you drop them off at Nursery, there will likely be tears when you have to leave. Try to have a bright smile on your face (even if you feel awful!) and make the parting loving but brief. Find a member of staff, give your child a quick hug and a kiss, and wave goodbye. You could always sneak a peek through the window a few minutes later to check they’re playing happily, or telephone the Nursery later on for extra reassurance. If your child cries every time you drop them off at Nursery, it’s natural to feel guilty. Some children can take a little longer to settle into their new routine but given a few weeks, they should soon start enjoying all the different activities on offer. It will be hard, but stay strong and your perseverance will pay off. Remember that nurseries offer lots of stimulation and social interaction, which is great for your child’s development. Hopefully this article has provided some helpful tips to help both you and your child prepare for starting Nursery. If you have any further questions please get in touch with us. We look forward to seeing you and your little one soon!